I spent my childhood living in a tract of suburban sprawl connecting the city of Lincoln and the township of North Hykeham – a limb of volume housing that first started to densify in the early 20th Century. My home was a detached house with bay-windows and a turned-timber porch, all set back from the road’s grassy verge by a privet hedge. A block-paved driveway led up to the garage and two Bay Laurels stood guard in front of a duck-egg-blue door. The back garden stretched out towards the local farmer’s horse paddocks and, during summer, we would often wake to find that the two plum trees – which grew over our fence and were just within the horses’ reach – had been mischievously harvested. 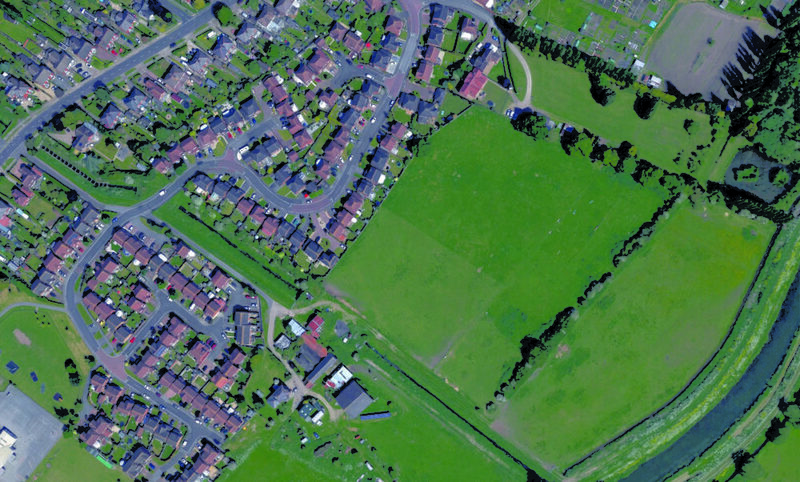 When I was ten, in 2003, these fields—which were officially designated as ‘flood plains’—were sold by the land owner (an ancient British university) to a developer, who promptly filled the open space with new three, four and five bedroom dwellings. I was outraged. Those fields, which we had always considered to be protected from development of this kind, had disappeared in the blink of an eye. Our garden was now overlooked by three other houses and its connection to the fields and the riverbank had been entirely removed. With the help of my grandparents I petitioned against the development, and the story was picked up by the Lincolnshire Echo. I was invited to a local planning meeting in which two entirely amicable, but rather tepid councilors explained that due to ‘demands’ from central government they had been given no choice but to sign-off that particular piece of land over to new homes. As time passed, we made peace with the new development. There was something oddly alluring about a brand new home and the show house outside the entrance to the estate became a hive of activity. The houses appeared spacious, had the latest central heating systems, and were all delivered with ‘neutral décor’ (all the fashionable rage at the time). These new dwellings were simultaneously a symbol of affluence (for many, a step up the housing ladder) and an opportunity for people to build a home from a blank canvas, untouched by previous inhabitants’ tastes and influences. They attracted a great deal of nearby residents and, in time, a large number of people relocated from their older, more dated homes into these shiny, clean, contemporary dwellings. If they purchased their new house off-plan then they were offered a menu-card of kitchen fittings, bathroom suites and appliances to choose from, all according to their taste. As life took its course and my family unit fragmented, I found myself living in one of these houses (new, but with one previous owner) – and in the very development that I had petitioned against five years before. Metropolitan areas across the world are experiencing rapid urban migration, and the need for more homes is a widely accepted reality. With urban density tends comes suburban growth – existing together in a bilateral, symbiotic relationship. The highly successful phenomenon that has accommodated and encouraged suburban development in the United Kingdom is precisely where architects’, urbanists’, planners’ and politicians’ attention should be focused. The contemporary Volume Housebuilding Project has generated a responsive, immediate, unchecked and untapped ecosystem of housing which, over the past three decades, has reflected British societal shifts through the device of the domestic home. Relative to the city, suburbia is very recent condition. The traditional ‘deal’ offered by suburbia—which was originally catalyzed by the railways following the Industrial Revolution and encapsulated by John Betjeman’s 1973 film Metro-Land—was one of compromise. It catered for people’s desire to escape the squalor and labor unrest of the inner-city’s industrialized and polluted core in favor of an image of the ‘idyllic country enclave’ and, in particular, the freedom and independence that it afforded. It was the construct of suburbia that first created the middle-class, governing and governed by their lifestyle, aspirations, routines and rituals. This ‘best of both worlds’ framework for suburban dwelling persists today, having evolved into a highly successful, heterogeneous landscape of cultures and cultural contributions and home to four-fifths of the British population. That said, the UK housing problem has, in recent years, tipped into a housing crisis. The traditional ‘deal’ (of dwelling in suburbia and working in the inner-city) and its corresponding social contract is now unraveling. Moreover, it’s becoming increasingly out of reach of the conventional middle-class and the dialogue between city and suburb has developed into a dialogue between city, suburb and outer suburb. A comprehensive lack of affordable housing has increased demand of proximate suburbs and removed the choice from a vast demographic who are now compelled to migrate further out from the inner-city in their search for idyll. This, in turn, has created a fresh housing demand, which the Volume Housebuilding Project has absorbed. Rather than passively allowing market forces to continue to wholly determine the future of British housing, a new ‘deal’ must be negotiated in order to find ways to address this growing imbalance. Before that, however, it’s necessary to understand the context – what the Volume Housebuilding Project actually is. Comprising of mass suburban housing built by large-scale developers from the 1980s to now, the most prolific volume housebuilders in Britain1 have the infrastructure in place to build en masse, and quickly – though not necessarily compelled to do so. Their business model relies on trickling new housing into the market to maintain house prices, and, therefore, it is not necessarily in their financial interests to build at the pace that the demand requires. Secondly, in spite of their size, they are able to rapidly respond to consumer feedback and observations, fine tuning their stock portfolio to shifts in living patterns almost as soon as they develop. The cumulative result, bolstered by their concentrated marketing campaigns, means that they are able to sell the smallest houses in Western Europe2 to a large portion of British homeowners who are seeking the suburban grain of detached and semi-detached typologies, all with the latest fixtures, fittings and appliances. The success of the Volume Housebuilding Project’s highly distilled collection of collapsed, nostalgic styles—a neo-vernacular architecture of ‘non-style’, from neoclassical plaster columns to Tudor Mock—caters to people’s desire for ‘character’. 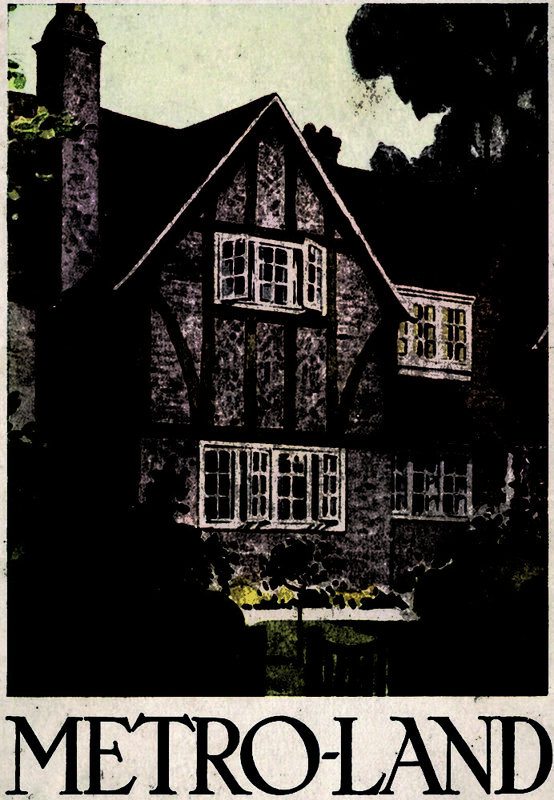 This quintessentially British inclination cannot be bracketed as postmodernism, nor can it be simply labeled as pastiche: the homeowners’ aspiration for historical reference (or ‘character’) is, in itself, an authentic pursuit – a condition which anthropological discourse, in comparison to the architectural, recognizes as entirely valid. It is this capacity to cede authority to the homeowner, offering the chance to complete the house through their own transformative activities, which is the most under-acknowledged success of the Volume Housebuilding Project. In contrast to the architect-designed home, the Volume Housebuilding Project’s model facilitates the homeowner’s need and desire to co-author domestic space – in terms of the exterior, interior, and on the level of furniture and objects. As a commercial force, the product is empathetic, accommodating and inclusive. It offers an accessible framework within which people feel comfortable to exact their own individual aspirations. The traditionally fluid relationship between suburbia and the inner-city is rapidly becoming a privilege for the few. As the discourse surrounding the British housing crisis finds itself in a professional and political maelstrom7 architects in particular, who have until now surrendered this domain to volume housebuilders as part of a broader professional erosion, can no longer afford to ignore, nor disparage, its widespread impact. It is rapidly defining—and will continue to demarcate—the appearance and quality of British housing. We need a more honest, inclusive debate about the reality of British housing.